Think back to your childhood for a second. 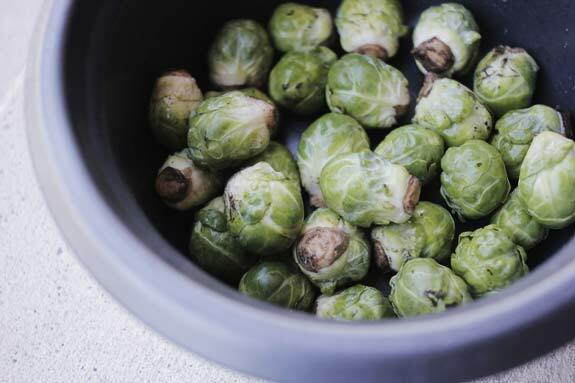 What was the one vegetable that you always dreaded eating? 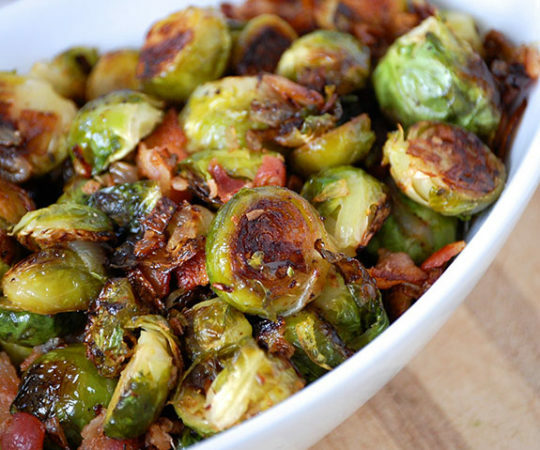 For most people, Brussels sprouts are the first things that come to mind. 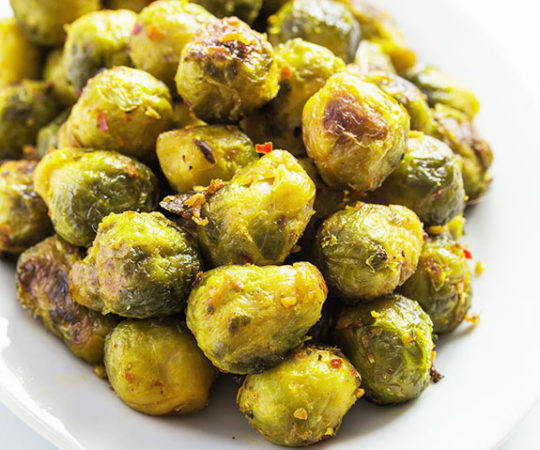 For me personally, I had never even tried them until this past year – which was good, because I had no preconceived notions of how they would be (other than the old rumor that they were a miserable vegetable that must be avoided). How wrong all you children were! 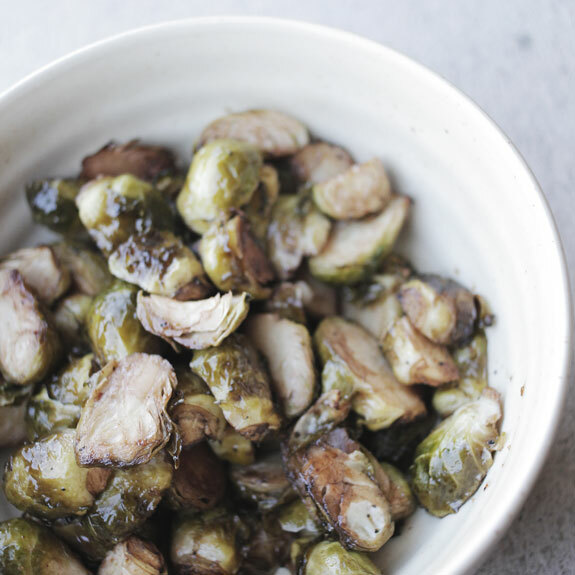 The problem with Brussels sprouts is that most people just aren’t making them right. I will admit, they’re not the most exciting vegetable on their own. But throw in some spices, honey, and balsamic vinegar and I’ll bet you’ll have all the kids eating them. I know this to be true because once I had finished baking them, a very skeptical sister of mine took one bite, said “these are actually pretty awesome”, and proceeded to eat more than ¾ of the bowl. Take that, boring childhood greens! 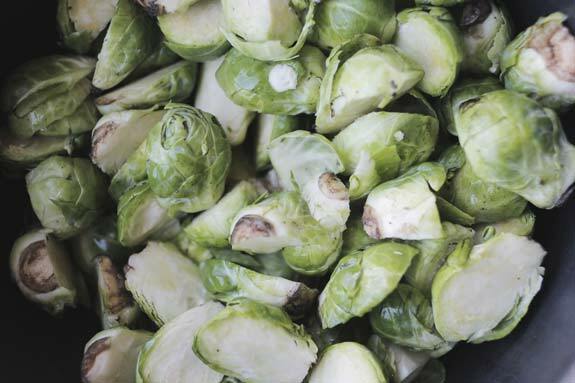 Brussels sprouts are packed full of tons of great nutrients. 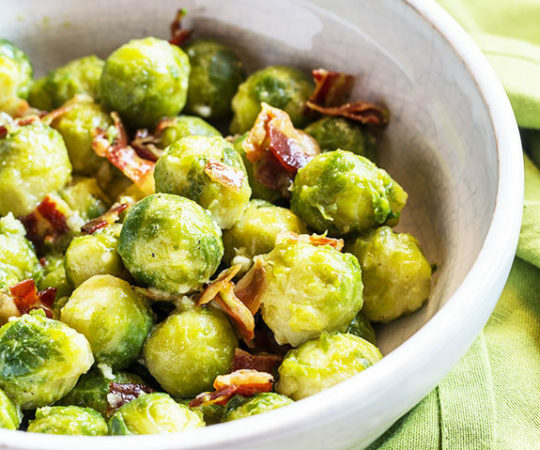 One serving provides more than 100% of your daily value of vitamins K and C, and they are also chock full of antioxidants, fiber, and protein. Preheat oven to 450 degrees Fahrenheit. 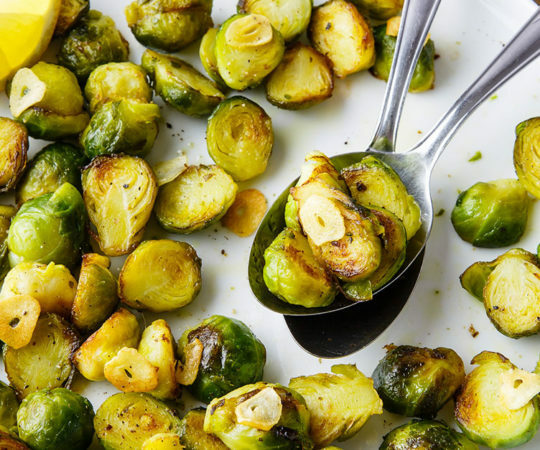 Line a baking sheet with foil and spray with non-stick cooking spray or spread with a light layer of olive oil. 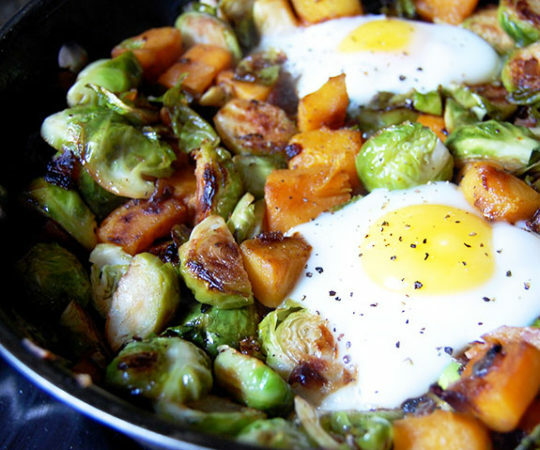 Halve the Brussels sprouts. 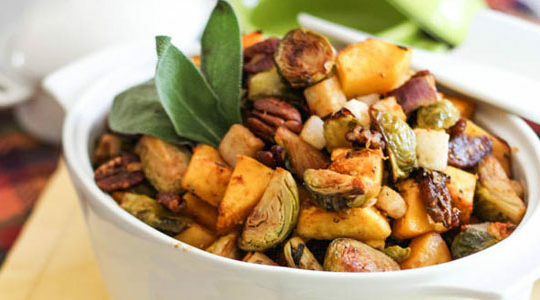 Place in a mixing bowl and add in the olive oil, balsamic vinegar, honey, and spices. Toss with hands until fully coated. 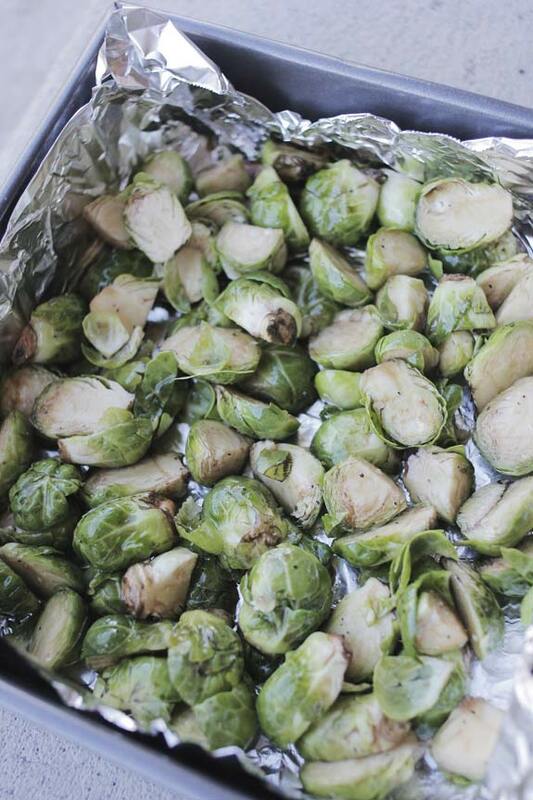 Pour Brussels sprouts onto baking sheet in one layer. Serve and enjoy! I like to sprinkle another bit of sea salt on them before eating. Can you use white balsamic vinegar in place of balsamic?